It is only natural that most fans and the media focus on what is happening now in the HK Premier League and the performance of the HK Representative Teams. These are very important facets of the work carried out by the HKFA and will always be in the immediate spotlight. However I think it is only right and proper to highlight the excellent work going on in other areas and how these will impact on the future. In recent years under Project Phoenix initially and more recently through our new Strategy, Aiming High, we are doing excellent work transforming the governance and management of the HKFA. At an operational level we are now better structured, have more resources and have improved our systems and procedures massively. It’s not just me saying that either; in 2015 the AFC awarded us the ‘Developing Member Association of the Year Award’. We have improved year on year in the LCSD Annual Inspection. But it’s not this aspect of our work I want to focus on now because the internal workings of the HKFA are of even less interest to the public and good governance and management should be a given. What I want to focus on in this blog is the enormous work being done to prepare the players, officials and coaches of tomorrow. Aiming High sets out plans for improved systems and structures of football development covering; grass roots football, youth development, talent identification, high performance football, girls and women’s football, coach education and referee development. Thanks to the additional resources being provided by the Government and the HK Jockey Club we now have a team of highly competent and motivated football professionals leading all of these areas. Within the Technical Department we have a good blend of expatriate people including our Head Coach and Technical Director (Korea), Head of Football Development (England), Grass roots Football Manager (England), Strength and Conditioning Manager (England), Academy Manager (Spain), two Elite Development Managers (Japan and Spain). These people are imparting knowledge to increase the knowledge and skills of our local coaches and players. This enhanced capacity building is part of a deliberate succession plan and should ensure a sustainable legacy for Hong Kong football. We already have local people heading up our Competitions team, Women’s Football, Futsal, Coach Education and Refereeing. 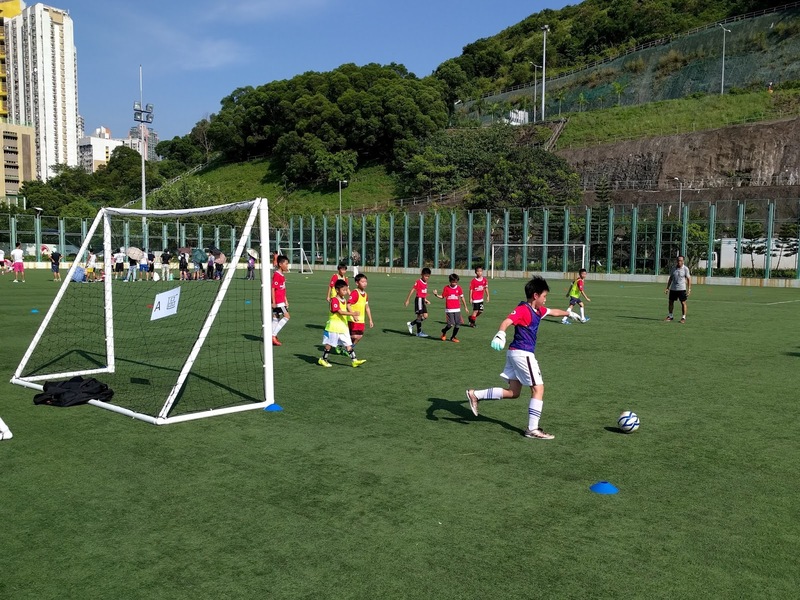 The Hong Kong Football Curriculum (which is available to everyone involved in Hong Kong football and is on our website) has been produced by this group of experts and provides a toolkit to develop the players of the future. I commend it to you. The curriculum provides an age-related training methodology for player development in terms of skill acquisition, tactical awareness, physical conditioning and mental preparedness. It is an excellent and ever-evolving resource. NB Prior to Project Phoenix girls and women’s football was not part of the HKFA. Development work was virtually zero. I could go on but believe me the work in these areas is extensive and coordinated. People following Hong Kong football may not even know that we are working in these areas. Like I said, these activities and programmes often go ‘under the radar’ but believe me they are the bedrock of our work and they are crucial for the future of football. Before Project Phoenix and Aiming High the HKFA didn’t have the resources to carry out these activities. It barely had enough funding and staff to manage the old first division, the three amateur leagues and the occasional international match. The transition and transformation has been seismic. We are lucky to have a team of people who are happy to dedicate their time and expertise whilst not being bothered about the limelight. To me they are unsung heroes and heroines! I am grateful for and in awe of their competence and ability. We are also indebted to the HK Jockey Club for providing partnership funding to allow us to provide these enhanced opportunities. I am also delighted to report that our new Football Training Centre at Tseung Kwan O is coming out of the ground and will in the future alleviate one of the most acute problems in Hong Kong football, the lack of facilities. That project has been on the drawing Board for many many years and it is only down to the dedication and hard work of the current management of the HKFA that it is finally coming to fruition. In the near future our elite players as well as community users will be able to train on purpose built, well maintained and dedicated facilities. This will make a real and huge difference in terms of player development, coach education and referee training. In other words we will be able to do even more development work! I hope this blog has highlighted the amount of resources, effort and determination that the HKFA is putting into improving things for the future. The results may take some time to materialize. After all it takes a long time to develop excellent players, coaches and officials – remember the 10,000 hour concept. The work I have done in firstly writing the Government’s strategy, Dare to Dream, then in preparing Project Phoenix and more recently in writing and implementing Aiming High has been a labour of love for me. I will always be proud of what collectively, myself and my brilliant colleagues have achieved. What is happening on the pitch now in 2017 is not a result of these recent initiatives, it is still to some extent a legacy of what came before, which was too few resources, no clear direction and very little player development. That’s why it would be wrong to judge the HKFA simply on what is happening now in professional football or in international competitions such as the Asian Cup. I believe we are making progress in these areas too but the real results will not happen until the excellent development work has had time to work itself through the system. Please take a look at these links which show some of the good work being undertaken and I believe some of our stars of the future. Congratulations to Kitchee for winning the 2016/17 BoC Life HKPL. It has been a long, hard-fought campaign and, as predicted in this blog a few months ago, the league went down to the very last game. It was fitting that the two top teams met to decide which one was going to be the Champion. It was a great afternoon at Mong Kok with a good atmosphere. What was most pleasing for me was that it was a sell-out. That shows that there is demand for local football and that we are making progress. As ever congratulations to my colleagues for yet more fantastic organisation. Thanks too to our sponsors BoC Life for their continuing support and for enabling us to improve the league in line with people’s expectations. Having said that, it was disappointing to note that the behavior of many of the players, still leaves a lot to be desired. We had the usual time wasting, feigning injury, brandishing imaginary yellow cards, dissent on the pitch and from the dugout etc etc. This has got to stop because it is pathetic, embarrassing and ruining the game. It goes without saying that whichever team comes out on top over the course of a whole season deserves to win. 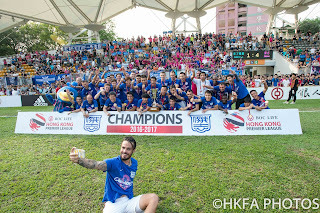 Kitchee has won the league on merit. They may well go on to win the treble this coming weekend and that would be a huge achievement. It is a commendable performance by any standard and reflects a well-run and purposeful club with excellent infrastructure and a solid Head Coach. 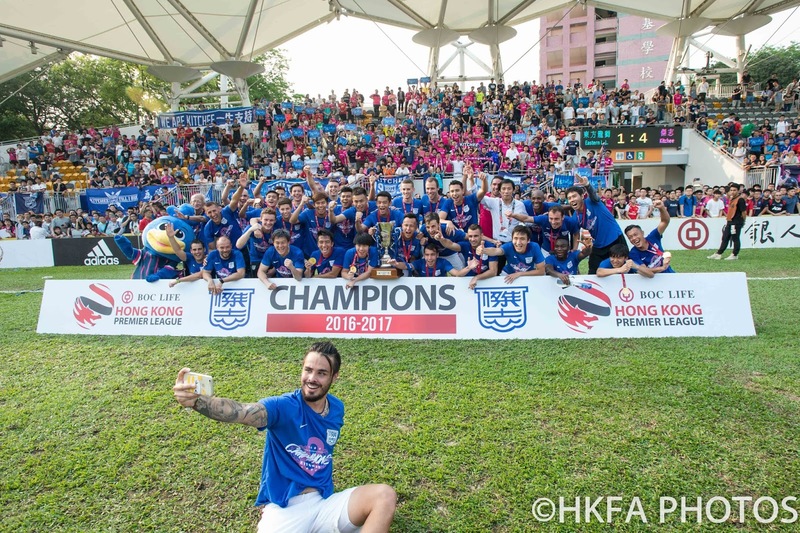 Recently, I have been accused of many things by the Kitchee management which to be honest is of no concern to me in writing this blog or at all for that matter. As far as their football is concerned I have been consistent in saying that they are the standard bearers for Hong Kong. I fervently wish we had many more teams with their drive and commitment. Despite what some people may think, I have no allegiance to any team in Hong Kong; I want them all to be successful. I have no favourites and am completely impartial. I am genuinely delighted that whoever wins our league has a chance to participate in the top tier AFC competition. I hope that if our prevailing AFC MA rankings are high enough and if Kitchee receive the AFC CL Club Licence, that they will play in the group stages of the 2018 AFC Champions League and be successful. I will support them all the way and I know my HKFA colleagues will do likewise. The fact that they will have achieved entry into the group stage on merit this time as league champions will make it even more satisfying for everyone. Of course it won’t make it any easier and as we have seen this season with Eastern, there is a massive gap in quality for them to overcome. In that respect, I would like to offer some sympathy to Eastern who have been at the top of the league for most of the season. I witnessed firsthand the devastation they felt after the match. It has been a difficult time for them this season and I am sure that competing in the continental competition has taken its toll. Moving up to a new level and competing in domestic and regional competitions at the same time is a tall order. I have no doubt that Kitchee will find it tough too but it is a stepping stone for Hong Kong football. All stakeholders including the media should remember that and give our teams as much support as possible. As another BoC Life HKPL season comes to a close, I reflect on the fact that the standard at the top has again improved but that the league as a whole is not strong enough. We must continue to strive to grow the sport as a whole here in Hong Kong to make the league more competitive and more sustainable. Progress in the ‘professional’ aspect of football in Hong Kong is slower than I would have liked, especially compared to other aspects of the sport which have made great strides forward. Over the next few months we will be preparing for the BoC Life HKPL 2017/18 season and we will be working hard to see how we can make things better. www.hkfa.com. Simple theme. Powered by Blogger.